Trigger warning: This post deals heavily on the topic of depression. He prefaced by saying that this wasn’t the first time something like this has happened to him and moved into a very touching and frank outline of what his life was like when the second photo was taken in 2010: “I was suicidal… I suffered in silence… I considered myself damaged goods.” Not for the first time, Miller was going through a time of depression. The negative comments were about a photo that was taken at a time when he was feeling “at the lowest point in [his] adult life,” but had found a moment to smile. That moment was then turned into something less positive by the paparazzi that had taken the photo. 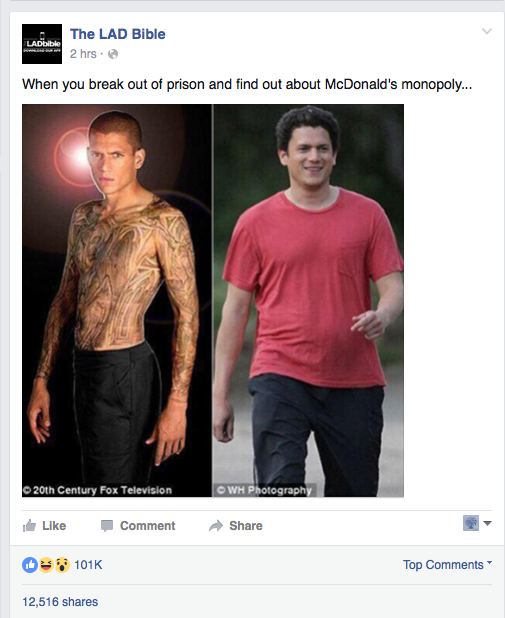 “News” outlets seized the opportunity to make terrible puns based on his physical changes after the end of Prison Break. Fortunately, when that picture resurfaced in March, he was able to address what happened and stand up for himself, but there are some people who can’t, and even more people who wouldn’t know how to respond to misinformation about similar situations. Have you ever really looked at what depression is? How many diagnosable symptoms are you aware of? Have you ever met someone who has stated that they battle with this illness on a day-to-day basis? I’m not asking these questions out of a desire to make you feel bad about any misconceptions you may have but to bring light to the larger issue that Wentworth Miller addressed in his post. Depression is a word that gets thrown around a lot in our society and even in our fandoms, but I wonder how many of those who use the word really understand what depression actually feels like and what some of the clinical definitions are. 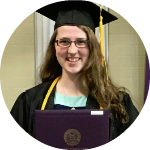 I hope to answer some of the questions you may have. The tool used to define and diagnose mental illnesses in the United States is called the Diagnostic and Statistical Manual of Mental Disorders. The fifth and most recent edition was published in 2013 so it’s commonly abbreviated as DSM-5. Within the DSM-5, there are 20 different categories of diagnostic criteria for mental disorders that vary from depressive, personality, and eating disorders to lesser-known schizophrenia spectrum, dissociative, and conduct disorders. Each individual disorder has a list of diagnostic criteria as well as features of the disorder and things like gender-related issues, risk factors, and comorbidity. When someone talks about depression as a chronic illness, it could be one of eight different depressive disorders, but usually people are referring to Major Depressive Disorder. Now, I don’t assume to know exactly what Wentworth Miller has gone through, but having read some of the things that he has written about his depression, I believe that this disorder is the most likely. Before we really get into what MDD is though, I think it’s important to also point out that in order to be clinically diagnosed with a mental illness, any of the symptoms an individual experiences must inhibit normal functioning (personality disorders are another issue that we may deal with at another time), which can vary from culture to culture. This means that although people frequently feel as though they “are OCD” because they like things to be orderly or have a few rituals in their lives, a person would not be formally diagnosed if they did not have a noticeable negative affect on their lives because of the rituals. This is just one example, but I think it gets the point across. So, what is Major Depressive Disorder? Clinically speaking, a person must exhibit at least five symptoms for at least two consecutive weeks that cause a noticeable change in functioning. One of these must be either depressed mood or loss of interest or pleasure. There are nine possibilities, which also include unintentional weight loss or gain, change in sleep, fatigue or loss of energy, indecisiveness, and feelings of guilt or worthlessness. Some things that you may assume are symptoms of depression aren’t on this list, like lack of motivation. This is mainly because something like low motivation can be attributed to some of the other symptoms, like loss of interest, hypersomnia, and fatigue. And then there are things like panic attacks, trouble relaxing, and feelings of impending doom that many people assume are part of depression. Clinically speaking though, these would be attributed to some sort of anxiety disorder. As you may know, depression and anxiety disorders often go hand in hand. According to the Anxiety and Depression Association of America (ADAA), about 50% of people who are diagnosed with an anxiety disorder will also be diagnosed with depression, so it is understandable that people mix up the symptoms of these two illnesses. But what does it feel like? There are some days when you don’t want to get out of bed, so you don’t. There are some days where you don’t want to shower, so you don’t. There are even some days where you don’t feel like saying a single word, so you don’t. I will not say that those are the “easy choices” because sometimes choosing not to do anything is not even a choice. And not in the, “Oh that decision was so easy to make that there really was no choice” way, but in the way that you have had everything sucked out of you that, really, the only thing you were aware of doing was realizing that you didn’t want to get out of bed. Nothing matters enough to even go through the kind of thinking making choices entails. Everything just… is. You can pass a whole day being a passive object that has no noticeable effect on the environment you are in and not letting the environment affect you either. It’s sort of a cliché, but it’s like those movie scenes where one person is still and everything keeps moving on around them. Time passes but seems insignificant all at the same time. I cannot express to you how exactly all of these things feel because they don’t. How can you describe true numbness and nothingness? I feel these things on almost an everyday basis, and I consider myself lucky because of that “almost.” There are some people who feel that absolute despair and detachment simultaneously on an everyday basis, and still they move forward. Sometimes that is not a choice they make but simply something that happens to them and that’s ok. For Wentworth Miller, his way of coping after finishing Prison Break was food and shows about food: “But eating became the one thing I could look forward to. Count on to get me through. There were stretches when the highlight of my week was a favorite meal and a new episode of TOP CHEF. Sometimes that was enough. Had to be.” Depression is a very complicated disease that sears itself into your brain and empties out your heart. It skews your priorities and warps your sense of self. You carry the weight of a world you don’t care about on your shoulders, a reluctant Atlas. I wish I could say that there was always someone waiting to take that weight off your shoulders so that you can take a few moments to cry from a sorrow you cannot name, but that isn’t always the case. Sometimes, Atlas has to pull himself up. I can’t fully express how much I admire Wentworth Miller. Even moving forward with this paragraph has resulted in many “pacing breaks.” At the end of his post, he reclaims the meaning behind those photos: “Like a dandelion up through the pavement, I persist. Anyway. Still. Despite.” That second photo of him in the red shirt now serves him of a reminder of the things he has overcome. If you get the chance, please take a few minutes out of your day and read some of the notes he publishes on Facebook. This man has a depth of understanding that I would venture to say most people only dream of. He has incredibly frank and heart-stirring accounts of his experiences that are beautifully written. 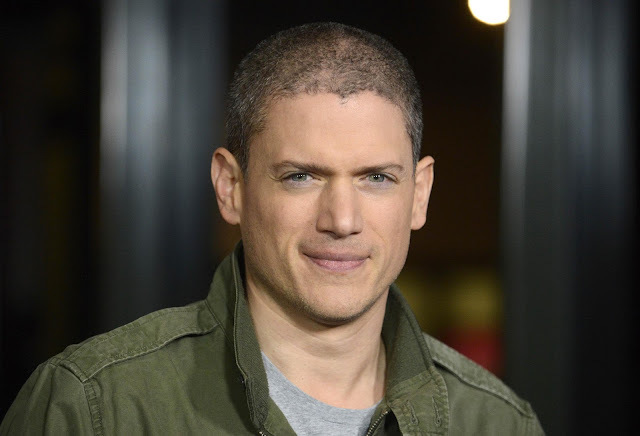 I will admit that I strongly suspect that part of the admiration I feel for him is tied closely with his portrayal of Leonard Snart and my affection for that character, but there is no denying that it was Wentworth Miller who offered up that feeling of camaraderie I feel with Snart. Sure, I’m a huge fan of the sarcasm that each line he speaks is practically dripping with, and I have not missed the incredible coincidence that “Snart” on its own sounds like a reaction to a snarky comment. But as anyone who has ever reached that level of sass can tell you, there’s usually more going on behind the tone than other people realize. Miller’s ability to deal with an illness like depression while simultaneously providing wonderful performances of a character who has enough problems of his own is absolutely incredible, in my opinion. Depression is really a debilitating illness. Many, but not all, people have suicidal thoughts, which can make it hard to talk to the people who care about you because of the thoughts you have that you daren’t share with anyone. And it’s here that I make the old, but necessary plea: If you or someone you know is experiencing suicidal thoughts, please seek help immediately. This doesn’t always mean calling a hotline (thought that is always an option). Sometimes help can look like keeping your friend on the phone until they fall asleep, or if you live close, going to their house and having a sleepover. But what is important to remember is that once the night has passed, you need to seek professional help. Suicidal thoughts are very serious, and even though you might feel better after your night-long Marvel movie marathon, those thoughts are probably going to come back. Please, find someone qualified who can help you work through the difficulties you are having. If you don’t want anyone knowing about it, you can always go incognito in your browser and search for therapists in your area. Even talking to your general physician is a good place to start because they will most likely have a list of providers and pertinent information. Unless you are under 18, no one but you and your doctor will know about your conversation. If you are under 18, I believe that you can request to keep the information between you and your doctor, but that will only be agreed upon if your doctor has no reason to fear for your safety (Don’t take this to mean that you should underscore the severity of your feelings. Honest is the safest thing.) If need be, find people like Wentworth Miller that you can look to for inspiration. Throughout the month of April, he posted daily “self-care” activities he participated in, which may help you find similar things in your own life. At the end of the post that prompted this informal essay, he also provides some links about suicide prevention both in the US and internationally. I highly suggest you take a look at these and learn more about what you can do to prevent suicides. I am also recommending a few sites that have shown up in my psychology studies at college. Thank you for reading, and remember that you can make a difference. The most recent statistics I saw were 20% of people will have an episode of depression before age 18 - thanks for this post. This is so important, and people need to be aware. It is also beneficial to know that in many states, teenagers can see a therapist for a certain number of sessions before they need consent from their parents. Therapists, doctors and teachers are mandated reporters of safety concerns regarding abuse, homicidality, and suicidality. Many (if not most) adolescent therapists will not break confidentiality with you unless there is a safety concern, regardless of whether you are under 18 or not. So if you want to talk about how much you hate your parents, sound off. They may have to share a diagnosis for insurance purposes, but the content of your sessions stays between you and them. As your cousin, a therapist, and a mild fangirl, I really appreciate this article. Thank you for the extra information! It means a lot that you appreciate the article, especially as a therapist.